Based on our P2MMC but using USB Midi. the P2MMC-2 may be used in a number of different configurations allowing DAW’s with Midi In/Out to be resolved to Video Syncs and be controlled by or control RS422 devices. The P2MMC-2 is ideal to connect MIDI systems (Protools LE, Nuendo, Sequoia, Ardour, Logic Pro, Cubase,Cakewalk) with timecode and video locked RS422 devices. 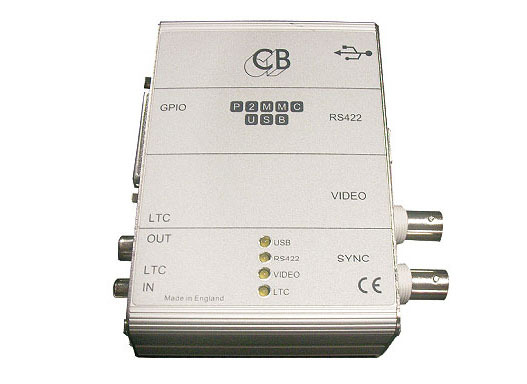 The P2MMC-2 may also be used as a USB timecode interface providing GP Outputs against timecode or logging events against timecode. We have also developed an EDL Recorder using the P2MMC-2 to record live edit decisions to increase efficiency in post production. or include it and your telephone number with your order. To download please click on text.